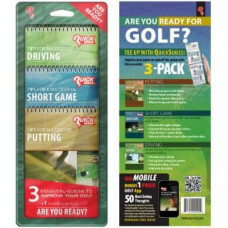 The popular Quck Series has a new 3 Pack, Driving, Short Game and Putting, the whole game in one. Peggable packaging. Sure to be a good gift item! 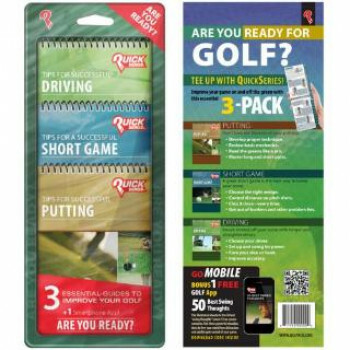 The popular Quck Series has a new 3 Pack, Golf Rules, Get Fit, Golf Tips and a Smart Phone App, all .. The Floppy Indoor Practice Ball. Feels, spins and reacts like a real ball! Practice your short game..
12' x 6' putting green Includes target hole and 2 sand traps. Slight incline, non-skid cush.. This drinking game will provide hours of adult fun while getting you blitzed (drink responsibly!) Ea..